The place where I get away from it all. The place where I am happy and at peace with myself. 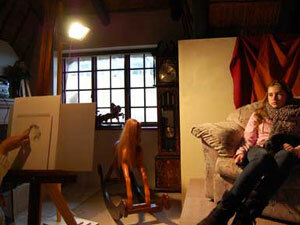 It is here where I solve many problems and make many discoveries. 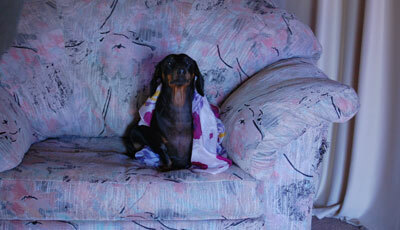 I often include Coco in my paintings. She spends most of her life in my studio, and everytime I have a model in the studio, Coco would also get onto the model-stand. for an advert for iTV in the U.K. 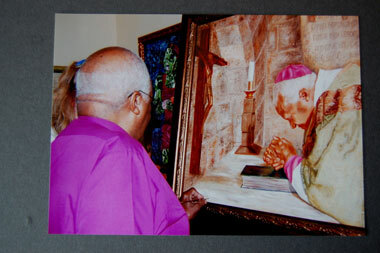 I was extremely privileged to be able to do a portrait of Archbishop Emeritus Desmond Tutu. 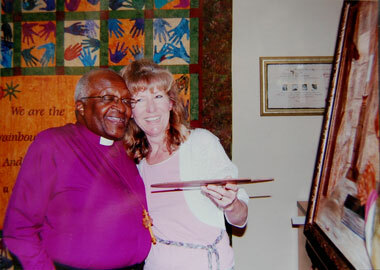 He agreed to meet me in St George's Cathedral in Cape Town. It was an extremely emotional moment as he prayed in the Reconciliation Abbey. 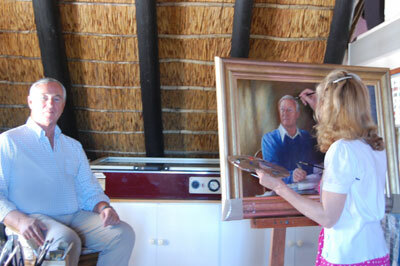 The portrait was sold via auction for charity at his 80th birthday celebration. He was the most extraordinary and very special model. 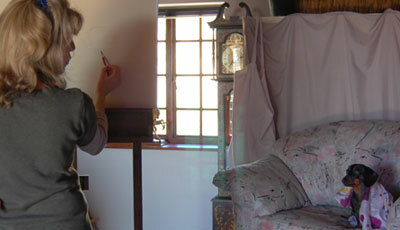 These pictures are of "The Arch" signing the portrait. There are many great artists out there whose work I admire. 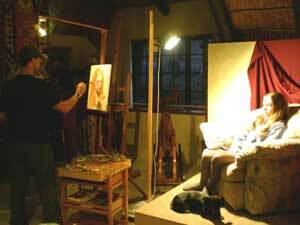 Scott Burdick and Susan Lyon are two of those artists for whose work I have great admiration. 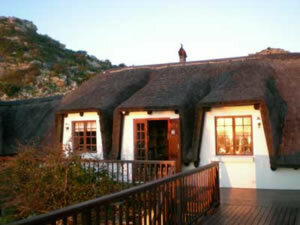 I invited them to stay with me and I was delighted when they accepted. It was such a pleasure spending time with them in the studio. Drawing with them and seeing Scott do a painting of Natasha provide memories I will always treasure. They have generously shared their knowledge with me and I am very grateful for that. 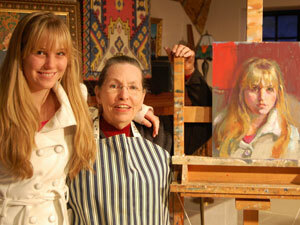 When you meet artists like Scott and Sue, you feel inspired and the journey becomes an even more exciting one. 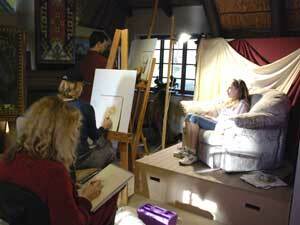 I met world renowned artist Judith Carducci at the Portrait Society of America's annual conference in 2008. 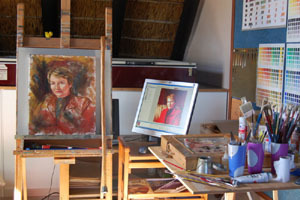 In 2009 I contacted her and in 2010 she came from America to my studio to give a portrait workshop. 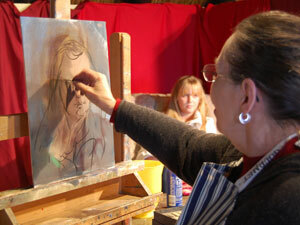 In 2012 she came back again to give a landscape and portrait workshop. 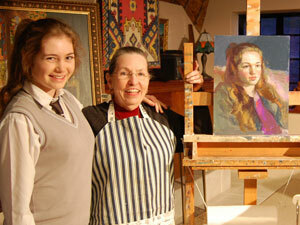 Below are pictures of her in my studio, doing a pastel painting of my two daughters Natasha and Nicole.